Natspec Network is a monthly round up of all the great news stories happening in the FE sector, focussing on the accomplishments and success of providers that work with learners with SEND. As we begin to near the end of the academic calendar, many Natspec colleges and stakeholders are running their end-of-year summer initiatives, whether that’s awareness weeks, projects and services to assist in learner development and more. Here are a few of the highlights from this month. A new employment hub has been launched to help young people with disabilities gain employment in Coventry and Warwickshire. 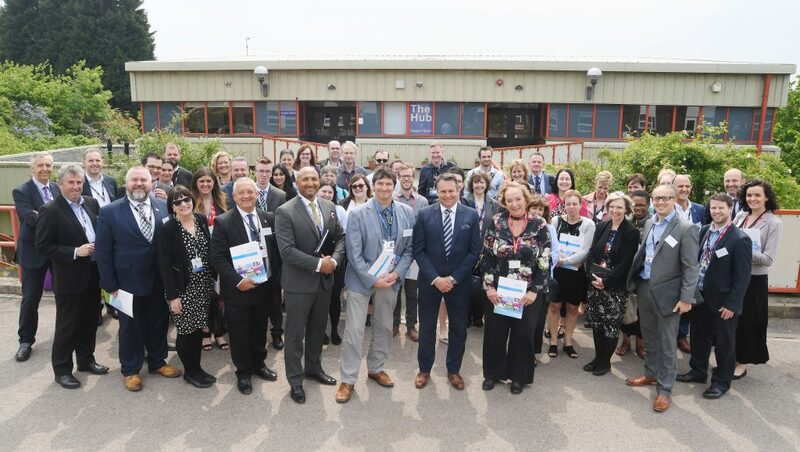 Representatives from around 60 businesses, schools and local authorities attended the launch event to hear more about its work with employers to bridge the disability employment gap. The Employment Hub at Hereward College will help young people to source work placements, skills training, support in the workplace, money management advice and training, benefit advice and travel training. It will also support employers with disability awareness training, analysing and adapting job roles and promoting good employment practice. Students at Hereward College officially launched a citywide poster campaign at an event attended by local councillors, local authority representatives and sponsors. Deputy Lord Mayor, Linda Bigham presented awards to the competition winners whose posters will be displayed in public places across the city, with the aim of making people think twice before parking their cars inconsiderately. 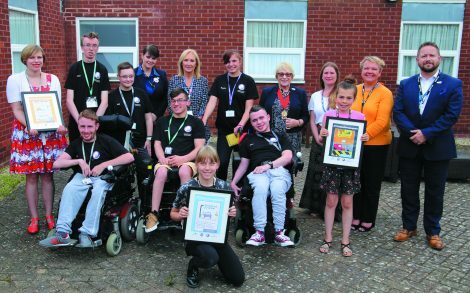 Hereward is a college for young people with disabilities and additional needs, which provides its learners with a curriculum that focuses on skills for independent living and employment. A group of students from the college decided to run a competition to encourage young people and children to design a poster highlighting the difficulties that pedestrians have when motorists park on the pavement without leaving room for wheelchair users and people using pushchairs. The Hereward College pavement parking steering group chose the three winners from local schools and colleges. “Inconsiderate parking is a city-wide problem and we want this campaign to help raise awareness, and make people think about the impact of parking their car on the pavements. The students have also produced two videos about the issue. Remaining truthful to our core values of quality, inclusion and innovation, The Orpheus Centre’s Learning Team decided to put on a Wellbeing Week that would aid the development of positive wellbeing strategies for all of our learners. In an exciting departure from our usual ‘produce-a-show-in-a-week’ intensive weeks, we chose to develop learning programmes for a ‘non-intensive week’ which would include internal and external practitioners/therapists delivering sessions on: mindfulness, yoga, aromatherapy, healthy cooking, cinema therapy, sound baths, art & music therapy, and a whole range of other activities. These activities exposed learners to opportunities they may not have otherwise have experienced, so that these could be reflected upon and, if necessary, built into individual Wellbeing Plans. 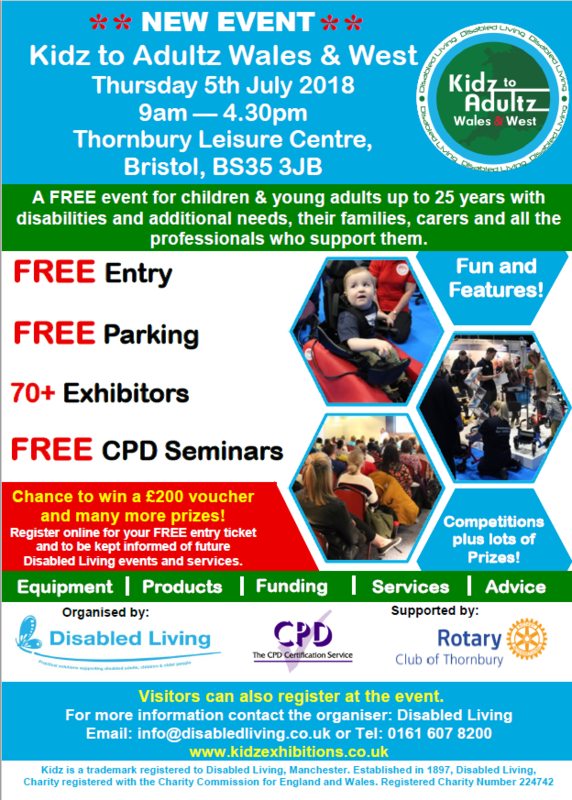 The biggest free exhibition for people with disabilities is taking place in Bristol this year and is open to children and young adults, families and professional carers. The event will be filled with exhibitors to provide advice and guidance on equipment, products, funding, services and more. In addition, professional guardians, carers and tutors can access free accredited CPD seminars on the day covering a range of issues and topics on SEND legislation, best practise and guidance. The event will be taking place on Thursday 5th July 2018 from 9am – 4.30pm. The Karten Network supports organisations that work with people with disabilities who use assistive technology to communicate. The Ian Karten Charitable Trust is a grant-making trust that devotes substantial resources to establishing computer-aided vocational training, education and communication (CTEC Centres) to help transform the lives of disabled people. They have recently shared their Summer 2018 newsletter highlighting stories, technology updates and information and case studies from the past few months.